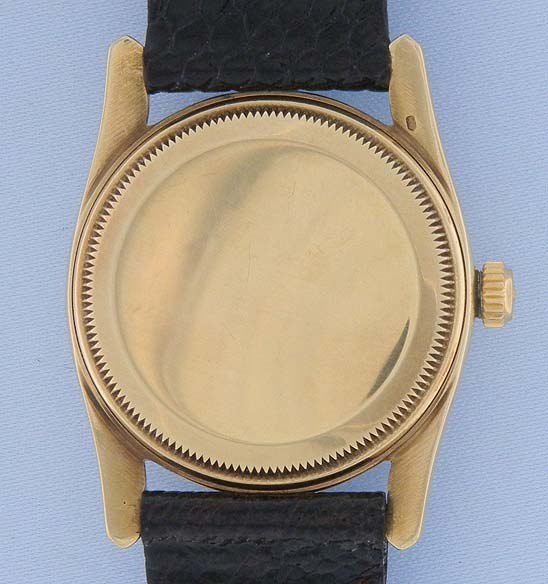 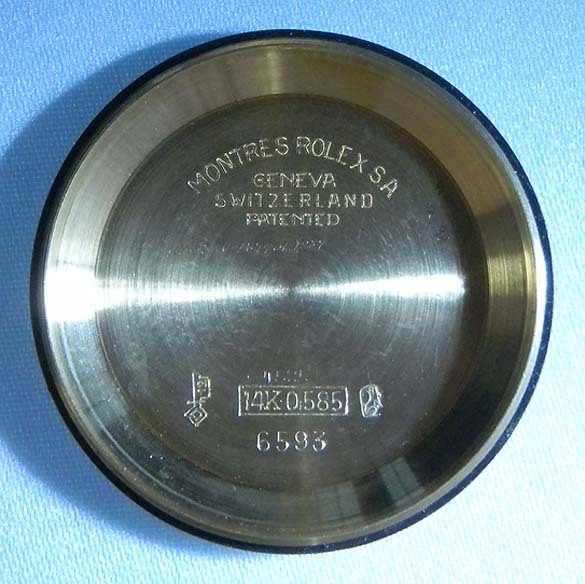 Good Rolex reference 6593 Bombay Oyster Perpetual Bubbleback vintage wrist watch circa 1955. 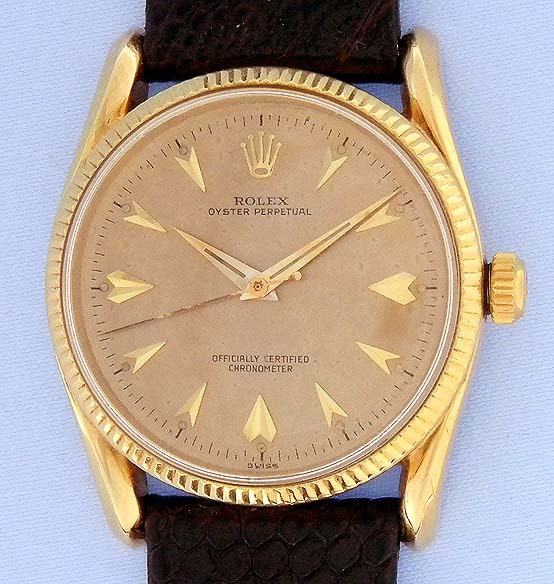 Original pink dial with applied gold markers and gold hands. 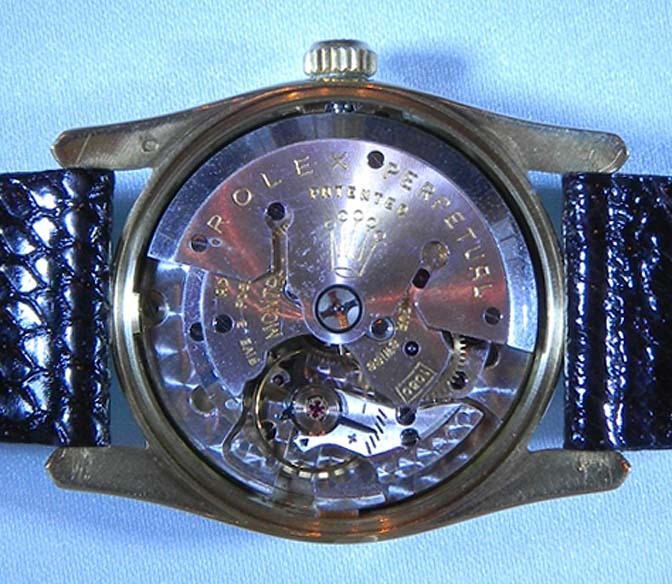 Nickel 25 jewel automatic movement.